Online MBA Report recently spoke with Robert Clarkson, Senior Program manager of Virginia Commonwealth University's recently launched Online MBA. VCU offers a unique approach to their MBA, with 3 weekend residencies as well as one-credit contemporary issue courses. 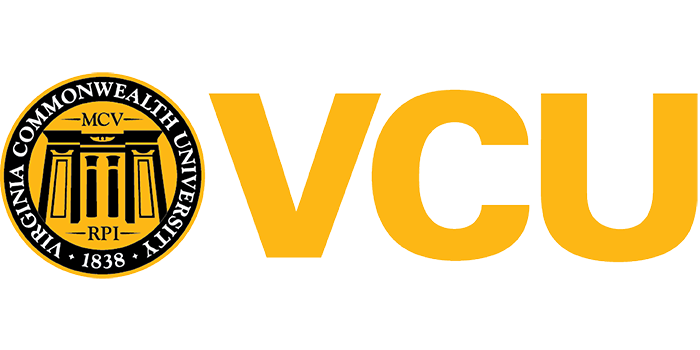 Virginia Commonwealth University launched your Online MBA in 2017. How did year one go and what do you anticipate evolving in the future? Year one was a success. We met our recruitment goal and delivered courses in a consistent format that made it easy for students to navigate. Students liked the first residency, where they got to know their fellow students and faculty as well as getting comfortable with the technology. The weekly video sessions with faculty are keeping the students engaged so they can successfully complete the courses. We are confident that these synchronous components are a valuable differentiator for students. We will continually evolve, but are pleased with the foundation set in the first year. We are attracting well rounded and diverse students who have significant professional experience. They tend to be the students that always wanted to do an MBA program but could not make it to a physical classroom due to their busy professional and personal lives. The students we admitted have an average of 10 years work experience and represent a wide range of undergraduate majors. We also have students with a great combination of different functional expertise, from accountants to engineers to health professionals, to name but a few. Tell us about the one-credit contemporary issues course, such as globalization and cyber security. How do these supplement the core curriculum? We have six one-credit contemporary issues courses in the Online MBA program. We developed these courses based on topics we thought to be the most relevant to business students and would complement our core courses. For example, our Globalization course is designed to give students an appreciation of the unique characteristics that arise when managing a global organization with topics included on accounting requirements, currency, supply chain risk, global transportation and logistics, outsourcing, and information technology. Our Cybersecurity course provides students with insight into the cybersecurity issues surrounding an enterprise, including securing organizational data, responding to cyber-based security breaches, emerging technologies, and ensuring a secured computing environment for safeguarding company information. The VCU Online MBA program is cohort based – students start together and finish together. A cohort format is helpful to students in an online program, as they build a strong professional and personal network, and have a great support structure to successfully navigate the program. Students come on-campus for three weekends. What can students expect at these gatherings? The program’s three residency weekends allow students to take advantage of all the resources provided by VCU, get to know their fellow students and the faculty that are teaching in the program, and expand their professional network on campus in vibrant Richmond, VA. The first residency covers technology, professional development, and team-building. The second residency is focused on community development and the third is a hackathon. The hackathon is a process through which students are provided with a real business challenge from a company and will work in teams to present their solution. Students interact with faculty via the residencies, weekly video calls and other typical means of communication. Faculty are available to answer questions via email, phone, video call or in-person (for those students who live nearby). Due to the small cohort class sizes, there is the opportunity for students and faculty to get to know each other well. The majority of Virginia Commonwealth University’s MBA courses require students to work on projects as a team. How do these projects help students learn and demonstrate their skills? Students are assigned to a cross-functional team, simulating what is typical when working on a project in a company. Students get to learn how to work with others who have different skill-sets, backgrounds, and working styles, while also learning to be a leader. To help in this regard, students create a team charter with their teammates, and learn how to lead others in their first core course. We have a dedicated career center in the School of Business that works hard to promote our talented students. However, regarding MBA students, since most of our students are already working, we have more of a focus on individual professional development. Online students have a career coach that they can work with as a student or alumni of the program. The range of services provided span from brushing up a resume and LinkedIn profile to mapping out a two-year career plan during the program. Our faculty are always looking for new ways to get students to learn and maintain a high level of engagement. One example was an assignment a professor created that had students, as a team, build a collaborative PowerPoint presentation synthesizing what they learned over the last week in the course, embedding voice over audio and video. The team then posted the presentation as a video so all the other students could watch it prior to the live session. This way, one team created the content from their own learning and experiences, sharing their perspective with the class. That team then facilitated a discussion/dialogue about the learning during the live session. This flipped classroom got students invaluable experience synthesizing content and facilitating a discussion. Richmond is home to seven Fortune 500 companies, including Altria Group, Performance Food Group, CarMax, Dominion Energy, Owens & Minor, Genworth Financial and Markel. There is also a growing culture of smaller entrepreneurial companies that hire our students. I always tell students it is important to have the support of their employer and immediate family. In order to be successful they will often spend as much as 20 hours per week on MBA coursework. Our MBA program, while only two years in length, is a robust 45 credit program, so if they cannot make the MBA program one of their top priorities so they can learn and grow, then it may be best to postpone their decision to attend. Why should a prospective MBA candidate choose Virginia Commonwealth University? - Our program is offered in a synchronous format, meaning that students meet live virtually with their professors and fellow students. We believe that students learn better this way and stay motivated to complete the program. We have three residencies where you come to campus to network and leverage all the resources that VCU has to offer. - It is a two-year, cohort-based program designed for working professionals. - There many opportunities for experiential learning, working on projects with companies. Located in the city of Richmond, we have access to the leadership of many top companies. Thanks to Robert Clarkson for participating. For more interviews, check out our Online MBA Report Interview Series.